Enjoy the daffodils even if it never seems to stop raining. 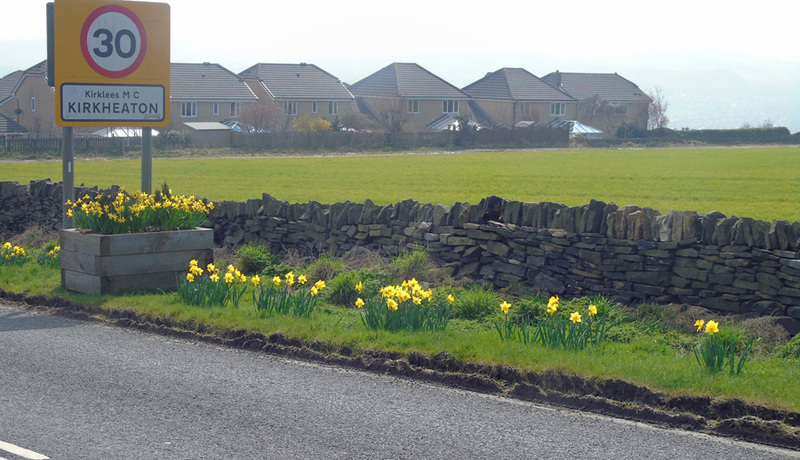 All over Kirkheaton the daffodils are in bloom in the tubs, planters and by the wayside. These daffs at the top of New Road were donated along with others on Heaton Moor Road by Pauline and John Hanson who also planted some of them.